As a founder of a young startup, you will be attending startup meets and conferences. There is Launch Festival and TechCrunch Disrupt. There is TechSparks and Startups Unpluggd. There are many such events a founder goes to and presents his or her idea. If you have 5 minutes to talk about your startup idea, how will you do that? 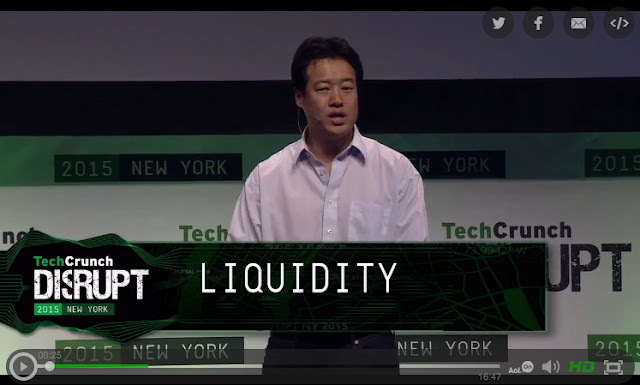 In this post, we will look at what Liquidity did at TechCrunch Disrupt. The startup Liquidity won the TechCrunch Disrupt NY 2015. Its founder Victor Hwang gave a very energetic pitch at the event. I have presented the crux of the entire pitch below so you need not watch the presentation (though I highly recommend you do watch it here).The entire presentation was just 6 minutes 25 seconds. Crisp, clear and awesome! 10,000 people will die today because of these micro-organisms (shows the villain; a bacteria). 1 billion people do not get safe drinking water because of them. This statement makes you care and also tells you how big the opportunity is. Step-2 Why is it so hard to get safe drinking water? It is because the purity standard is 99.9999%. Even a very small amount of bacteria can make the water unfit. Even if you make the water clear, you don't know if it is pure. It is the invisible stuff that kills you. The world until now has been making a trade-off. 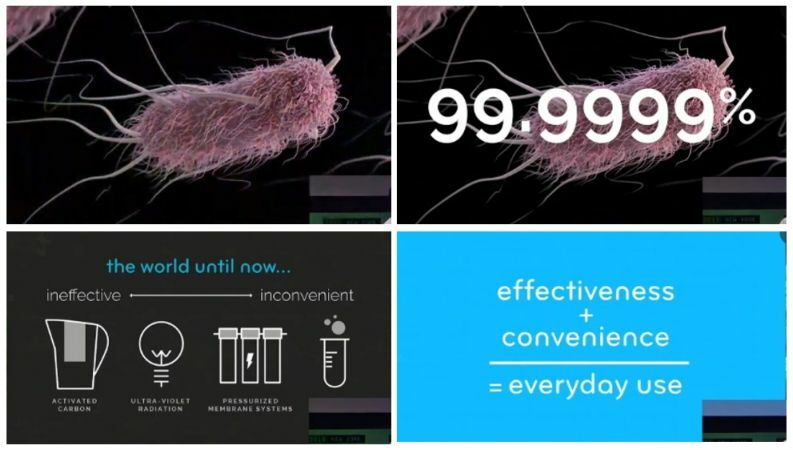 Some products are ineffective (do not kill all bacteria) and some work but are really hard to use (inconvenient). This is a trade-off and no trade-off is the optimal solution. Liquidity eliminates the trade-off and creates a state-of-the art product. It is effective AND convenient. No chemicals, no electricity and no pumping needed. We can change the world! A good demo shows how convenient Naked Filter really is! Step-6 How does it work? Here he explains in simple terms how the nano fibre membrane works. Shows us visually how bacteria gets stuck in the membrane as water passes by. The product is a result of scientists, engineers and business people (a dream team working on it). There is 15 years of R&D by Stony Brook University. Concerns about credibility and expertise are taken care of. What products are we selling? Personal water bottles, household products and industrial products. Roll out starting from the US and Europe. Next we enter the emerging markets. Eventually reach a billion people all over the world. Step-9 Product is ready and can be ordered right now! Order now and you will get it in 3 months. The presentation went like this: The problem --> Why it is such a big problem? --> What is the existing solution --> What is our proposed solution? --> Demo --> The science behind the product. How it works? --> The team --> The product portfolio and roll out plan --> Order now! The framework is simple and we all know about it. Google on how startups should present and you will see a similar framework almost on every site. But the question is, how should it be followed to make an impact. Victor Hwang makes the impact and that's why we should learn from him. If you notice the slides, they have been designed really well. Large images with hardly any text. A complete slide with few words on them. The slides compliment the speaker. They are not meant to overpower him. If you are interested in reading about how to pitch your startups to investors, click here.